This is a report of the eighth session of our Vaaran Kingdoms Sertorius session. You can see session seven HERE. This session resumed mid-battle from the previous. The party had just killed Nutesh in the caverns of the blood cult and faced a beast made of dead Sertori. Tauq had already fallen, and when the beast unleashed another wave of crackling bolts, Garoff passed out and Dreckergael transformed into a badger. The beast lifted Caela up to throw her down the hole but she grabbed onto the edge (with a successful Athletics roll). It towered at the edge of the hole and tried to pry Caela's hands from the rim. Gaius and Uloff failed in their attacks, the beast was simply too powerful for them. In desperation Uloff charged the beast but missed and fell through the hole. In his long descent he cast Juggernaut and plowed his body with great force into the foundation of the structure. This killed Uloff but also caused enough of a quake that the beast lost its balance and fell through the hole as well. The party recovered. Once Tauq awoke he started to heal the rest of the group. However he overcast and acquired afflictions, becoming obsessed with Uloff's remains Garoff flew down into the chasm to retrieve Uloff's body. There he found his dead friend but saw no sign of the beast. Garoff read the bones to see if Sur Vanker might resurrect his friend. The reading was hazy but he was optimistic. Later he made another reading which was more clear. He saw the fate of himself and Uloff intertwine with the Gru chieftain Dorgel (who is trying to take the neighboring kingdom of Appraea). They spent several days traveling back to the Ser-Vel. Upon arrival the party introduced Caela and learned from Vaela that King Hanno-Kar was having talks with the ruler of Beora (who could supply him with 16,000 troops). Word came back from Eshmunazar that he would join with the Ser-Vel on three conditions. First he wanted Sul Worship permitted in Palus and temples erected to Sul in the cities. Second, he wanted to expand his holdings south. Third, he wants the title Malika Alu-Hakdara wa Varholta, this title would make him King of Hakdar-Kane and Varholta. The party was able to talk him into taking the title Emir instead of Malik. The party then convinced the brownies who live nearby to take messages through the ethereal realm to a member of the Qadia (a group of ministers who control the church of Ramos in Palus) who was hostile to the Gesarians. Using the Brownies saved time, which they were beginning to lose. They also sent a letter to King Mossedes of Beora, offering Gaius' hand in marriage to his daughter if he supported their cause. Through these efforts they were able to secure a meeting with Iqra, a minister in the Qadia hostile to the Gesarians. The party was convinced that Gesara was angering Ramos with her campaign against the Sertori and felt if Iqra read the entrails publicly this would convince many in the Qadia to support them. They also spoke with him about turning one of King Hanno-Kar's generals. They settled upon a plan and agreed on steps they wanted Iqra to take in 8 days, at which point they would attack the city. Gaius, Dreckergael, Tauq and Caela went to Hakdar-Kane to speak with Eshmunazar and coordinate an attack, while Garoff worked with Belga to spread their southern forces in a line and send for reinforcements from the north. The body of Uloff was still with the body at the insistence of Tauq. Eshmunazar agreed to their plan and when the armies converged on Port-Sul they learned it was in the midst of a bloody conflict with King Hanno-Kar controlling one side of the city and the forces allied with Iqra controlling another. Eshmunazar attacked the eastern wall of the city, which was still controlled by King Hanno-Kar, to draw his forces, while Uloff and Belga took their forces through the northern gates which were controlled by their new allies. Iqra had indeed secured one of King Hanno-Kar's generals and their forces outnumbered the Gesarians considerably. They surged over the bridges dividing the city and drove the king's army back into the palace. From here the end was clear, so the party offered King Hanno-Kar his life if he killed Gesara and had her head sent to their camp. They heard screeching of monstrous creatures from inside the palace and the clash of steel. Moments later, a servant brought a box with Gesara's head and the king surrendered. 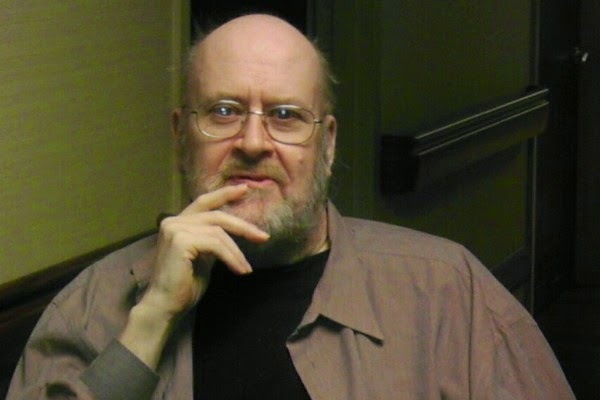 To all our gaming friends: Jeff Perren, the co-author with Gary Gygax of the Chainmail war game in 1971 which would spawn, a few years later, the Dungeons & Dragons game we all know and love, needs our help. His leg amputated, he now lives away from his family, in a nursing home, and you know how hard it can be on one's morale. Now his daughter, Victoria Ricks Perren-Cserep, has a plan to get him to live in her house, but since he is wheelchair-bound, this means making the house accessible, and this means a stair lift to start and make this workable. This could mean a big change for Jeff Perren, and that would help greatly in all sorts of ways, psychologically, physically, you name it. Feeling good surrounded by your loved ones goes a long way towards living a good life. So please, consider pitching in, even a buck or two. Any amount matters. Please also share the link so a maximum of gamers get to know about this. Let's make it happen for Jeff. Thank you very much, friends! About thirteen years ago, one of my players looked me dead in the eye after the close of a campaign that saw the world plunged into hell-fire and dragons and said "I'm sensing a pattern here, every campaign builds to some earth shattering cataclysm that we are in part responsible for". He was right, I had developed a strange habit of culminating campaigns in apocalyptic scenarios, usually triggered by something the players unwittingly released or failed to stop. It was a bad habit, but not my worst habit. I think part of the problem was I wanted the gods to play an active role in the setting but just had trouble using restraint. I was in too much of a rush, which is contrary to how immortal gods would approach the world. They have eternity so it makes much more sense to play gods as long term planners, not Rambo on steroids itching for final conflict. Now I play my gods a bit differently. This is always highly setting dependent of course, but my feeling is if the gods are real and can interact with the world, that should be visible to some degree to the people who exist there. In the past, this meant significant divine intervention all the time. Now I realize the gods can be more subtle and patient. They don't mind planting a seed and waiting four hundred years for it to grow. For example, in my Sertorius campaign, Ramos is beginning to grow irritated with some of the religious communities devoted to him. They've deviated from their covenants with him, twisting his words to suit their purposes. Ramos most certainly could take aggressive action, raining storms and destruction (he is kind of a jerk). Instead he has planted some seeds. These are things the party in my current campaign may or may not come across. They are likely to hear rumors that point to these seeds, but there are always rumors and the seeds themselves are not necessarily all that obvious. Seeds can be anything from a vague vision received by a lonely hermit in the north to the arrival of a new prophet who attracts a small following. In two or three hundred years, maybe some of these seeds will grow into something significant. The prophet's followers could become a new religion or a sect of an existing faith, the hermit's message may come to the attention of an earthly ruler who tries to revive the old ways of the Church of Ramos and one of his descendants eventually spreads this reformation through conquest. War between the gods themselves is another restraining force to consider. Generally I think most of them would avoid it, except when necessary. It is one thing to stomp mortals who can do little or no harm to you, but quite another thing to welcome a fight with an equal. Any time a god steps in, there is that possibility that the action messes with another gods plans. So this is even more reason to work slowly with some plausible deniability. When there are many gods, conflict between them is likely. My gods are still present and palpable. Players who do well on Ritual Rolls may attract the notice of the gods or have visions. 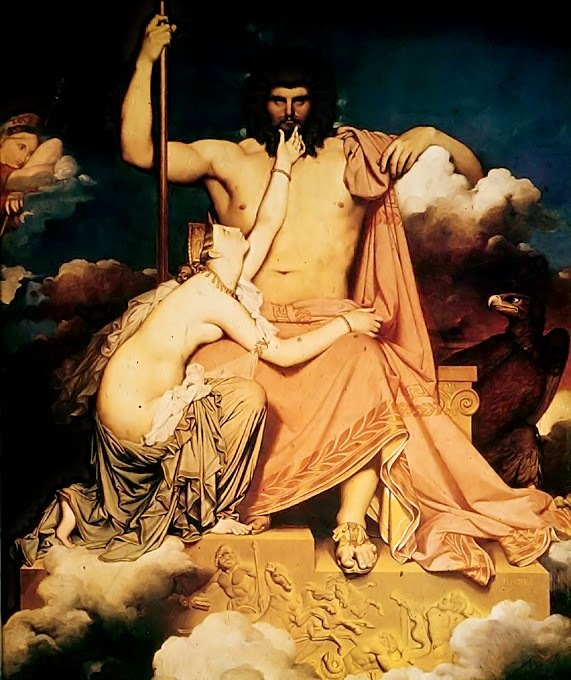 The gods may directly intervene or send servants to intervene on their behalf when the need arises. But they don't feel the need to act in every instance where their interests are challenged. For me it is useful to think of each gods long term goals. Do they really need to risk taking direct action and possibly come into conflict with another god by smiting the people who started worshipping that lich lord? Still, direct interventions and even end-of-the-world scenarios can arise, just not every damn campaign. I used to read Dragon and Dungeon Magazine religiously as a kid. I particularly enjoyed Dungeon but I also liked reading the game advice columns in Dragon (and the comic strips). I remember they used to run a lot of advertisement and sometime around the late 80s or early 90s (I think) they began an anti-obesity campaign. I couldn't track down the ad but it was an image of a bulging gut with the words "Some gamers have a problem..." on the top of the page and "....denial" at the bottom. I am going by memory here, so this may not be 100% accurate. Since then, I've participated in and observed many of the unhealthy habits that likely led them to run this campaign in the first place. I just want to do my part here to encourage people, gamers in particular, to make healthier eating and lifestyle choices. First let me say this isn't about people looking a certain way or being ashamed of themselves. I don't think anyone should be ashamed if they are overweight and I know a lot of skinny people who eat fatty food all the time. This is purely about heart health and living a longer life. Last year my business partner, William Butler, died suddenly from heart disease. He was also the Gamemaster in our group and like a lot of us, he didn't have the healthiest diet. I hope to encourage other gamers to think about what they eat both during the game and in between. When you game, you tend to eat the most convenient foods. At my table it was almost always pizza or Chinese (sometimes subs as well). But we also tend to be readers and the types of folk who spend time at the computer. This isn't universal. I know plenty of athletic gamers too, but I think it is safe to say a lot us (myself included) spend considerable time sitting down and eating food that is easy to make so we finish our book or prep that dungeon level. I believe people should spend a little time and effort to break that pattern because you can only eat and live that way so long before it catches up with you, and I'd like you all to be around as long as possible. Here is what I suggest, and it is going to be a bit sacrilegious. Skip the pizza. If you have to order Chinese takeout, get the steamed dishes, not the stir fries or appetizers (or anything fried). Eat stuff that tastes clean, not greasy. If you have to, make food yourself before the game. Also don't eat snacks, pastry or donuts during play. 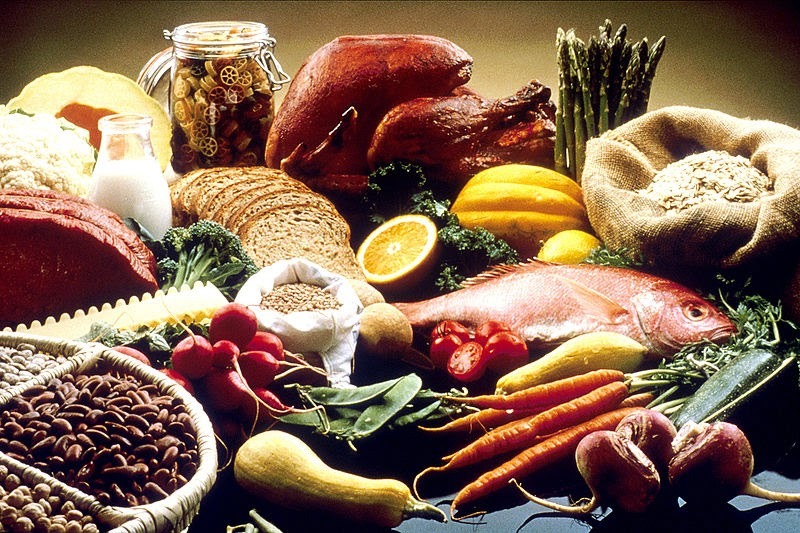 I have some experience with this because I became very involved in competitive martial arts some years back and found myself needing to make dietary changes in order to stay inside my weight class (I couldn't go over 149 pounds). This was hardest to maintain on game night (at the time I think I was gaming once or twice a week). My way around it was I ordered the same boring steamed dish from the menu every time (because my group pretty much always ordered Chinese or Pizza). I discovered after a couple of weeks that steamed food, once you get used to it, tastes really good, and greasy food tastes bad after you haven't had it for a bit. In fact one of the other things I discovered was all the light sauces you can use to enhance steamed chicken and vegetable or steamed fish. There are all kinds of ginger sauces and bean sauces. I found out that you could even get a whole steamed cat fish stuffed with scallion and ginger from some places if you asked for it (and it was really tasty). This had a dramatic effect on my ability to remain at my desired weight. After I stopped competing and didn't have to be under a certain weight, I gained it back pretty fast by reverting to my old eating habits (getting up to 195 pounds). There is a world of difference between 146 (which is what I was before) and 195. I could feel it. I was still exercising and involved in the same kinds of activities, I just was allowing myself to eat big meals and eat whatever tasted good at the time. I was exhausted and even developed sleep apnea. These days, I am back down to my normal weight. But I still hadn't really been eating all that healthy. I was eating smaller amounts but I was consuming a lot of fatty, salty food and fewer vegetables. When Bill died, I started to rethink my diet. I've been aiming once again for the clean food and trying to eat more vegetables than meat of carbohydrates (not cutting this other stuff out, just putting more focus on vegetables). I also stopped ordering food at my games. If someone is hungry and needs to order food, I won't object at all, but I don't ask if people want to order it any more and no one really seems to bring it up. If they did I would also probably encourage them to get steamed dishes. So I would encourage any gamers reading this who are not already eating healthy to consider making a change. 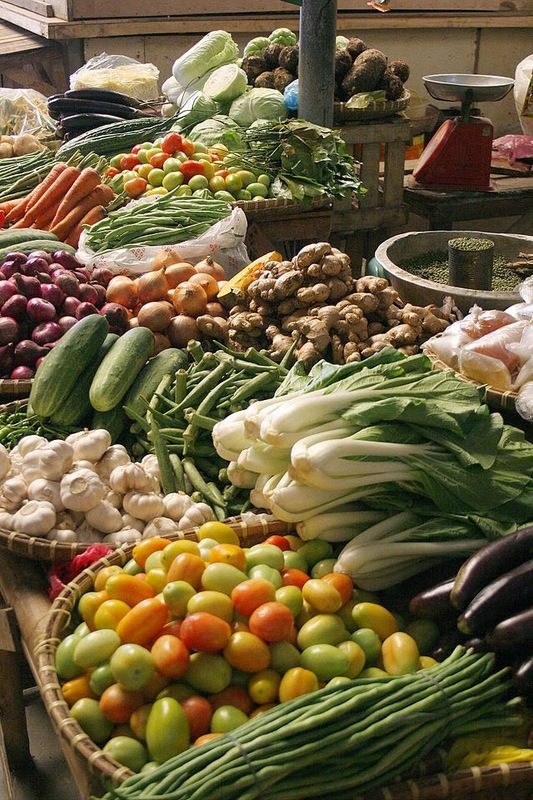 Eat cleaner and healthier food. Get a little more active and work out. I don't exercise to the extent that I used to, but I still try to stay active and do a moderate routine when I can. Not only does it improve your mood, it gives you more energy. I am certain if you don't exercise and incorporate a little resistance and cardio into your day, you'll be more alert at the game table and feel more enthusiastic when you prep adventures. I don't like being preachy about it. I know it can come off a bit high-and-mighty when someone tries to steer you toward healthier food options, but I also don't want to lose another friend to a heart attack, so I will take being more rude if it means gamers' arteries get less clogged. Spoiler Warning: This entry contains a few spoilers. If you haven't seen This is the End, you may want to skip it. I watched the movie This is the End last night, and it prompted some thoughts on campaign possibilities. There is a general convention that players sign-on to the campaign conceit before play. If the group sits down for a game of Call of Cthulu, it has been established that everyone wants to play a horror game. Before a session of Star Wars, everyone's basically agreed to play space opera. If you shift gears on your players during the campaign and transport your Call of Cthulu players to Narnia, they might cry foul (and with good reason). But there is a place for judicious use of surprise campaigns. I started GMing with Ravenloft and while you can run it as its own campaign setting, where the players start as natives, it was originally intended as a surprise to drop in an existing game. For example you might have a party adventuring in Faerun and when one of the player characters commits an evil act, the mists appear and take them to Ravenloft. I've been thinking more and more about springing surprise campaigns like this on players. While it can make for more mystery and excitement it can also tick off the group if you aren't careful (or if it just isn't the kind of thing they enjoy) so know this sort of tactic isn't without risk. In the past I've dropped horror campaigns on my party. Mostly this was by bringing characters to Ravenloft in a standard campaign, but I've also thrown zombies at players in modern games. I contemplated turning my Crime Network campaign into horror at one point as well, having one of their fallen PCs come back as a spirit bent on revenge, but opted against it. Now I'm thinking of how you might drop an apocalypse on a party. I haven't tried this yet, so this well could crash and burn. Watching This is the End, gave me some ideas though. I think the crucial thing is it needs to happen in an ongoing campaign where the players are invested. It would probably work best in a modern mundane setting because players won't expect it, but could work in anything (from alternate history to fantasy). That time investment, in my experience, really makes a difference. With Ravenloft it is one thing to make new characters and then pull them into the mists first thing, quite another to have it happen well into an ongoing campaign. In terms of venue, the apocalypse could be anything from the biblical Apocalypse to nuclear war, zombies, etc. You can extend this period for as long as you want. 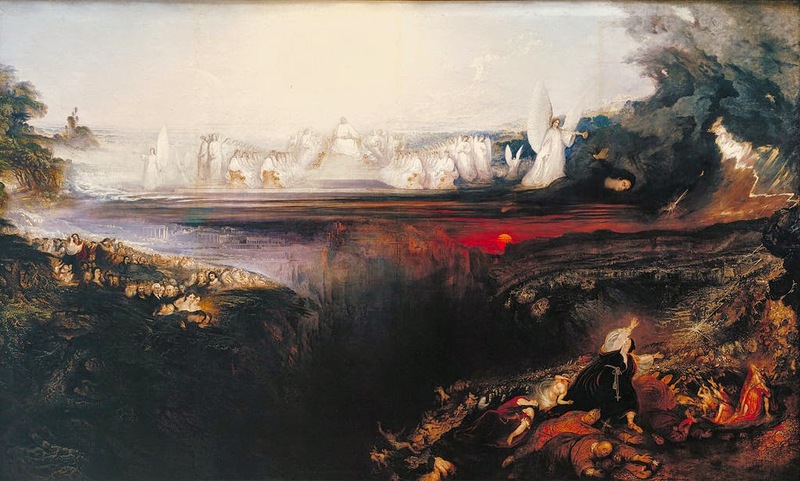 There is all kinds of wiggle room to decide how things play out and exactly what sort of world the characters inhabit during the great tribulation. This forces the players to go into survival mode but with characters they're invested in. If you begin the campaign at the moment of the apocalypse, the players don't really have much to lose except characters they rolled up two minutes ago. If you drop it into a six month old campaign, their survival matters a lot more. My favorite reason is the bad people. After the rapture, the only people who are left are the bad folks (you can decide for yourself exactly what this includes, in the film it was everyone from the vaguely snobbish and ungrateful to the truly murderous). What is hell for the players, is heaven for the GM. This is an environment dominated by tribes of cannibals, violent motorcycle gangs and even a few opportunistic politicians. 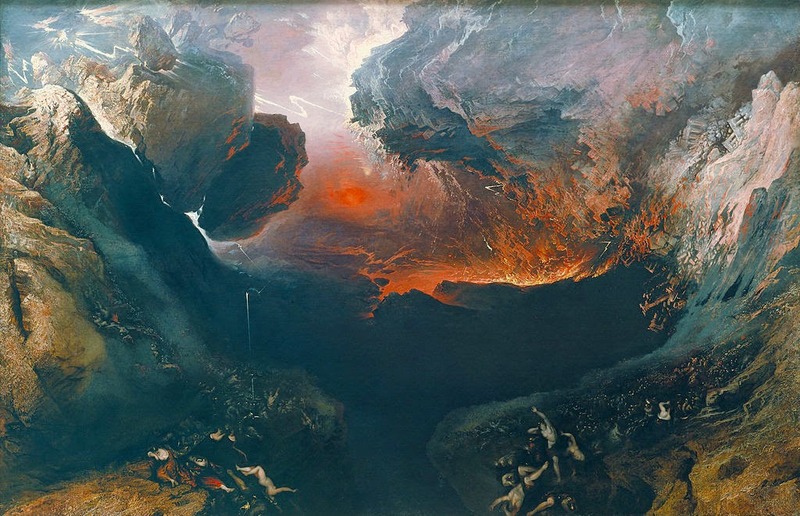 Of course, you might not want to use the biblical apocalypse. There are plenty of other options here: zombies, plagues, the Islamic Yawm ad-din (day of judgment), the end of Kali Yuga, Ragnarok, etc. You can even mix and match if you want. There is no rule that it has to follow one tradition or genre. You can get as creative as you like. I would just mind the risk here. This is the sort of thing where you have to be willing to pull the plug if it bombs with the groups. *I'm no theologian, so I am sure I am oversimplifying here. 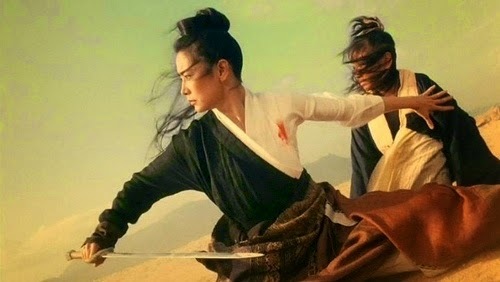 I've decided to post a master list with links to all the wuxia and martial arts fantasy movies I've reviewed over the past year. It is possible I left something off this list but believe I found every blog entry. These have become popular enough that I will continue posting them in the future. I should have a review up for The Water Margin soon. I'd like to do write some Chen Pei-Pei reviews as well, but as I mentioned I reviewed every one of her films that I have a copy of and some of the others are quite hard to obtain. If I manage to outbid someone for the Jade Raksha or Whiplash (which I haven't been able to do) or find a copy of one of her other movies available for sale, I will do a review. 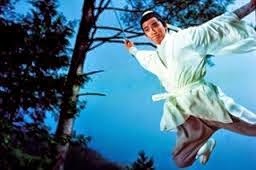 I am going to start doing some newer films as well in addition to the classic Shaw Brothers and Golden Harvest. I am working with one of our artists today on the Purple Cavern Sect headquarters and I am quite excited about the end result. We are not going to have too many maps like this due to budget constraints but the ones we've selected to illustrate really show how the setting works. Sects are a very important aspect of the game and we worked hard to give our sects flavor and history that would feel true to the wuxia genre but also provide opportunities for adventure (I am discovering those two things are usually not in conflict). One theme I wanted to preserve, because it features in many of my favorite films and series, is the battle between good and evil sects, and the hypocrisy that sometimes exists below the surface. In the martial world of Wandering Heroes of Ogre Gate there are many sects characters can belong to (and they do not have to be part of a sect if they don't wish). 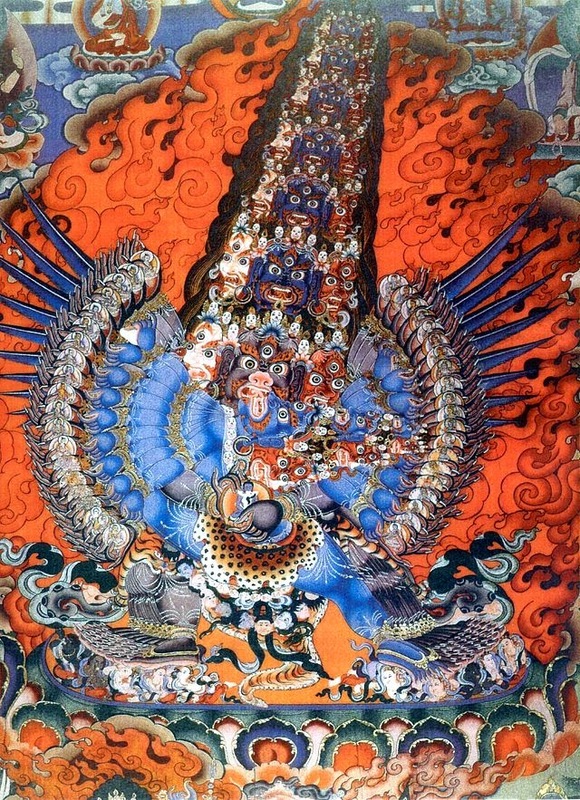 There are presently thirteen major sects including the heroic Nature-Loving Monk Sect, the prestigious Golden Dragon Sect, the perplexing Temple of the Nine Suns Sect and the greatly feared Zhaoze Sect. These are all grouped under Orthodox or Unorthodox, and this reflects their reputation in the martial world. Orthodox sects are generally regarded as righteous and good, while Unorthodox sects are usually viewed as wicked and evil. Sometimes the reality matches the impression, other times it does not. An Orthodox sect may simply be riding a reputation it earned long ago but no longer lives up to. An Unorthodox sect may have a questionable history, perhaps even dishonored itself in some way, but ultimately be on the side of righteousness. 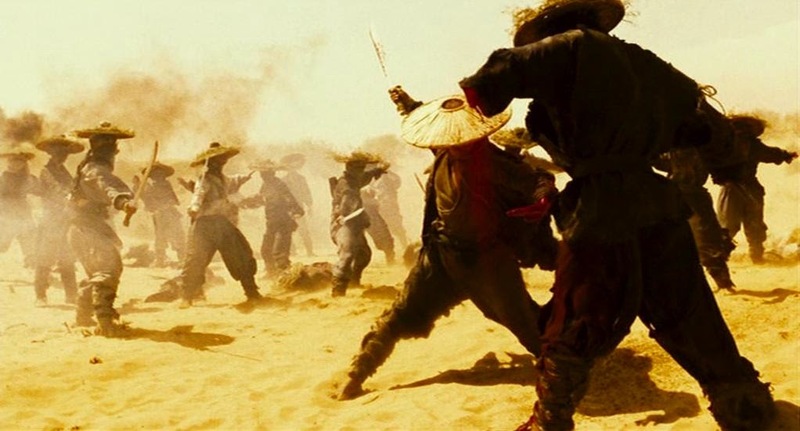 When I was working on the different sects for the game, I was thinking a lot about movies like Killer Clans and Dragon Swamp or television series like Swordsman or Heavenly Sword and Dragon Saber. So I tried to inject some of the conflict and backstory into the sect histories. I also focused a lot on the personalities behind the sects, which I think is important. Love, justice, duty, and righteousness often clash in interesting ways. I think this provides for a richer gaming experience because conflict between sects can feature prominently in a Wandering Heroes of Ogre Gate campaign. 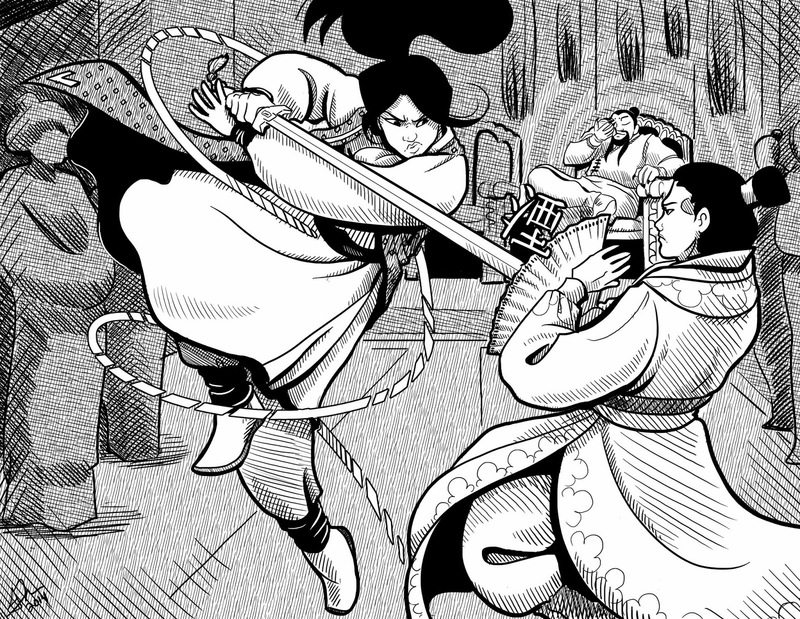 The wuxia genre is a bit unusual when it comes to gender roles and equality. On the one hand this is very much a genre where women and men are pretty much treated as equals in terms of martial arts skill. 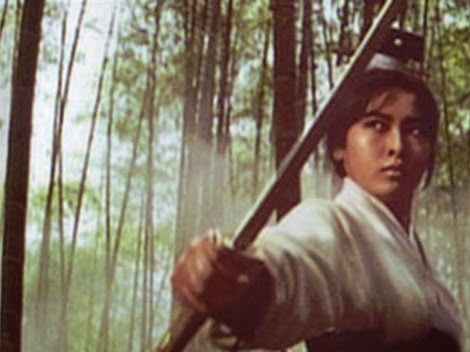 The earlier wuxia movies frequently featured female protagonists, often disguised as men, who could swing a sword as good as anyone. Later films in the late 60s and early 70s like Come Drink With Me would continue this tradition. In the move A Touch of Zen, for example, the two chief characters are a male scholar named Ku and female martial hero named Yang. 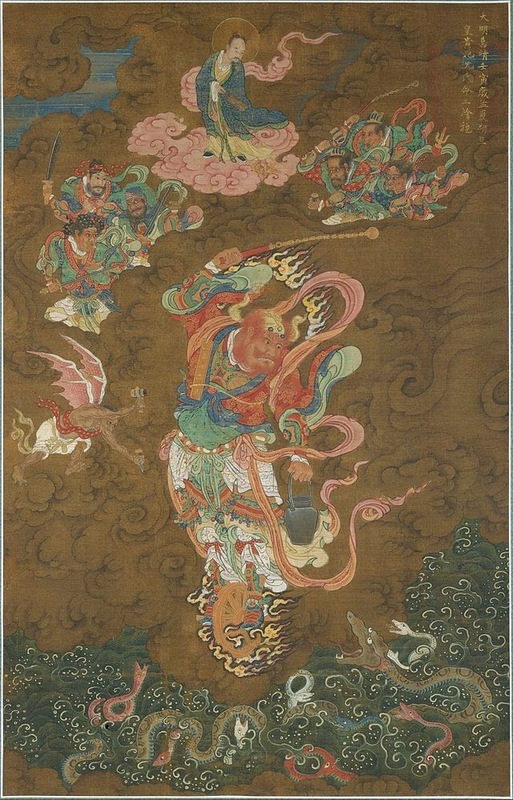 Ku is depicted as a meek and bumbling intellectual while Yang is a fearless and aggressive warrior. 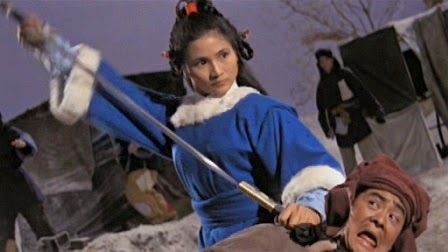 But wuxia is also a genre where gender roles are clear and at times constrictive. Because our aim was to be true to the genre, we assume that most social conventions present in wuxia film and literature are also present in Qi Xien. This doesn’t reflect our personal views of traditional gender roles, it is merely an attempt to reflect the source material. That said, we also don’t place particular emphasis on this either. Ultimately this is a social game. While Qi Xien is a world that contains traditions and customs found in wuxia, this is your game and you can run it the way you want. We don’t want female players to feel the oppression that characters in the setting experience. So while imperial posts are largely run by men in Qi Xien, and families are led by men, this doesn’t mean you can’t make exceptions for individual player characters. It also shouldn’t be used to make anyone uncomfortable at the table. There are a few ways to deal with this issue at the table. One approach is to completely ignore the distinctions in social status between men and women. Just assume it isn’t a part of the setting at all. Even though this isn’t the approach we took with the rulebook, there is nothing wrong with doing this. If you don’t like it or find it too constricting, ignoring it is a perfectly acceptable option. Another method is to draw on existing tropes in the genre. The most common is women disguising themselves as men and taking male names. Whether or not the people around her know she is really a woman, this should allow you to hand wave any impediment to her holding a position normally reserved for men. Basically any female character disguised as a man, would be treated as one. Another approach is the one mentioned above, just treat PCs as the exception to the rule. One aspect of world building that appeals to me is cosmology. A fundamental question when you first make a world is 'what religious beliefs are true?'. In a setting where gods and goddesses are real, this has huge implications for what people believe and how they behave. 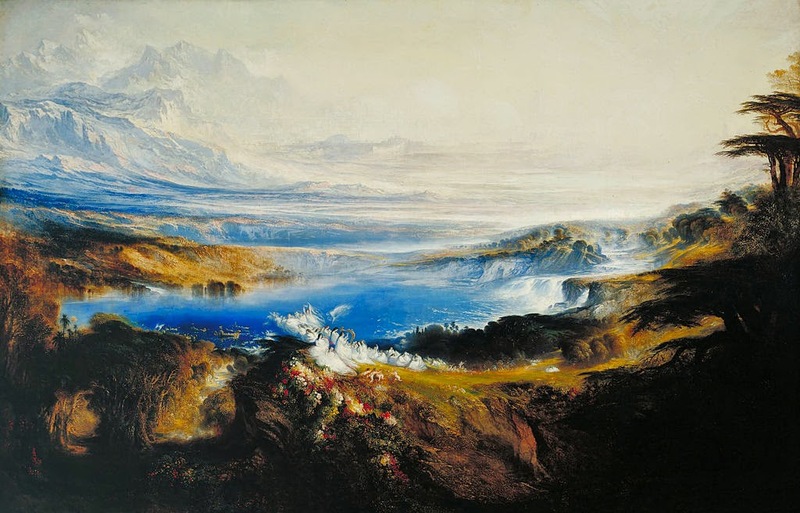 Fantasy worlds offer the possibility of objectively real myths. There are some big implications in that. At the same time, I crave some amount of diversity in my fictional faiths. The real world is filled with people who disagree over the structure and nature of the cosmos. To a degree you want some of this, because fantasy settings need to be rooted in things we understand and know about our own world. But when the gods are real, that presents a problem and the GM or designer needs to decide the plausible limits of religious diversity if myth is an objective reality. My approach is to first establish what is absolutely true. In Sertorius this means that the gods described in book all exist, that Aetia is a kind of transcendent deity that is the source of all things (even if the gods created the particular features of Gamandria itself) and that Senga died, and this somehow produced the Sertori. But we still have a bunch of different religions. Even with a given god, like Ramos, there are numerous faiths: The Church of Light, The Church of Ramos, The Cult of Sarda and endless pantheons that include Ramos in some way. At times these religions contradict one another, so which one is correct? We left the answer deliberately ambiguous and allow the GM to decide. My own solution, in my campaigns (which we hinted at in the rulebook) is that Ramos is capricious, and even a bit of a jerk. He makes agreements all the time with individual prophets and is willing to experiment with different guidelines for his followers. What matters to Ramos is that people honor their agreements. He holds mortals to the specific covenant he has made with them. This means he can acknowledge both the Church of Light and the Church of Ramos, and even though they have different creeds, he expects both to abide by those creeds. Another instance where we breed deliberate ambiguity is Sarilla's motives and role in the death of Senga. Again, this was to allow the GM to have ultimate say, to maintain some of the mystery. Is Sarilla evil or is she good? Or is the answer more grey? In the book there are some standard explanations offered but these are by no means definitive. We didn't want to answer this question because how you answer it has a huge effect on the setting and we felt it was better to keep this aspect of the world a mystery. The GM is once again free to offer up his or her own answer. The key is the players do not know what that answer is until well into the campaign (if ever). The Eight Magistrates: According to Dehuans, the dead must undergo a period of judgment and review by the eight magistrates. Each Magistrate spends a day evaluating the deceased, based on celestial records of his or her actions in life. There is one magistrate for each major Dehuan Virtue: Filial Piety, Propriety, Tradition, Order, Wisdom, Integrity, Loyalty and Righteousness. Other religions believe in similar deities but the precise number and nature of them changes to match the faith’s precepts. The Majestic Lion Cult: This religion originated in the West but accepts much of the cosmology shared by Dehua, Yen-Li and Qi Jao. They believe in a figure called the Majestic Lion, who carries souls to paradise in the afterlife. According to their system of belief, to enter paradise one must be free of outstanding grudges. This means you must spill the blood of your enemies before you die. Only the will the Majestic Lion deliver you to Paradise. This isn't meant to confuse. Rather it is meant to give the players a clear sense of how different people understand the afterlife, while giving the GM the ability to decide for his or her own campaign. There are at least three alternative views of the afterlife expressed here. One entry offers disagreement on the nature and number of the Eight Magistrates, the other posits an entirely different view on what happens after death. Ultimately this is a great way in my view to create diversity but still have the setting cosmology be objective. One thing it does rely on is the GM choosing what is real and what is not. In Wandering Heroes of Ogre Gate we also address this in the GM chapter, at times weighing in with a definitive answer (such as how the Mandate of Heaven actually works). I think when you are weak in a particular area there are a few things you can do. First you can work to improve it. That is always worth exploring and I think there is nothing in this world quite like taking a junk box and turning it into a corvette. So if you are bad at impressions, but have a strong desire to improve, by all means work on it. Another solution is to ignore you weaknesses and play to your strengths. Nothing is wrong with that approach either, I use it all the time. My favorite approach, when it makes sense to do, is to turn a weakness into strength. I am very bad at impressions. Not too good at accents either. This used to frustrate me a bit, because I liked the idea of doing interesting voices at the table. Now I've learned to accept it and turn it into a strength because when you can't do impressions, no one knows you are doing an impression. If I try to act like Robert De Niro or Jerry Seinfeld, my players will have no idea who I am supposed to be. This is annoying if you want your players to believe you're Robert De Niro, but since I've never run a campaign where meeting Robert De Niro was a remote possibility it isn't a concern (the closest we came was a Crime Network game where one PC tried to break into the music business). If you just want your players to believe you're playing distinct and interesting NPCs, then a bad impression can go a long way. I've packed my campaigns with guest appearances from the likes of Peter Ustinov, Gilda Radner, Jim Carey, Carol Kane, Vincent Price, Katharine Hepburn, Charles Laughton, Sigourney Weaver, Sean Connery, Don Knotts, and many more. In none of these cases was my portrayal of these people at all convincing. In fact my Sigourney Weaver is probably not all that different from my Peter Ustinov, but it is different enough that I can see the characters I use them for as separate, which helps me get a handle on them each time they come up. This also helps my players know whose voice I am speaking in, even if I have two NPCs engaged in a discussion with them. Generally I limit this mainly to minor NPCs I need to flesh out on the fly. Impersonating a celebrity badly is a great way to quickly put together a believable NPC. For major NPCs, I think you need more of a solid foundation than just the voice of a celebrity. But for a barkeep or bandit, it can really help to emulate the mannerisms of a famous actor, comedian, politician or even a musician. So next time you fail at a celebrity voice impression or trying to sound like a lizard man, turn it into a strength. Allow your lack of skill to cloak the source of your inspiration. 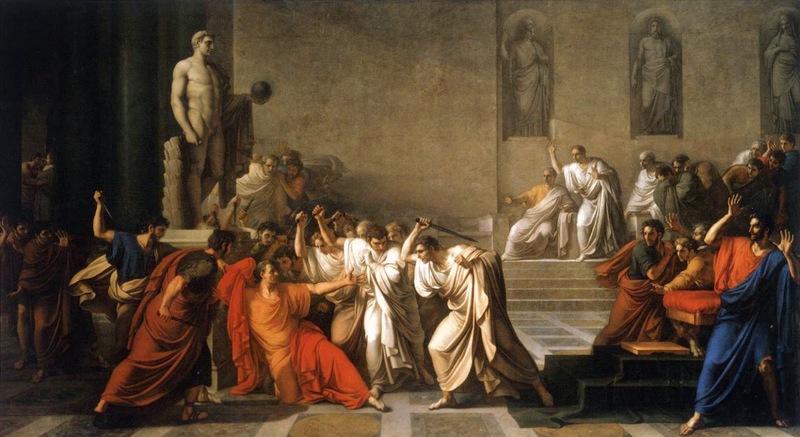 Recently this article attracted a bit of attention in the gaming community and it raised some discussion about the role of individuals in history. The article talks about the Great Man Theory of History, which is the notion that historical events are shaped by important individuals. Now historians tend to recognize that individuals, even great ones, are constrained by many other forces like economic trends, social movements, political forces, pandemics and even geography. The article identifies Great Man Theory as one of 5 harmful myths found in tabletop gaming. I'm not really interested in debating the philosophy of history here, but think it valuable to discuss how history moves in game settings. First I just want to mention that I don't necessarily agree with the article's position that great man theory is something we really need to worry about at the gaming table. Partly this is because I believe most gamers don't resort to Great Man Theory. If you look at any RPG forum or blog, half of what people talk about are these other history shaping forces: food supply, weather patterns, politics, etc. I think very few GMs run their campaign worlds on the assumption that Great Men determine the course of its history. That said, I do think many GMs make something of an exception for PCs because in some systems player characters have powers not available to normal people. Another reason I disagree is I don't think how we game affects how we see the world (which seems to be the articles' concern---that by promoting Great Man Theory, the GM is shaping the player's view of the world in a way that is harmful). To me this is similar to the kinds of arguments made in the 80s that connected playing D&D with the occult and losing the ability to distinguish between fantasy and reality. If players want to be mighty heroes who shape the history of the game world, I don't really think there is a problem there. That said, reading the article did prompt me to reflect on my own campaign. One of the first things that occurred to me (and I saw others point this out online for other games) is that because characters in my Sertorius campaign are powerful spell-casters, their impact on history is not insignificant. Yes there are other forces constraining them, but because they wield magic, they can direct and access those very forces themselves. For example they can cause natural disasters and epidemics. A character in Sertorius can create a mood of fear in an entire city or even be the center of a religious movement. I think this is true of many RPGs, particularly fantasy games. In essence, by virtue of being a PC, players frequently have access to force multipliers that expand their influence over events in the setting. So it isn't entirely unrealistic to expect them to have an effect on the flow of history. Despite this, in Sertorius they are still constrained. While a Sertori may have a vast movement of followers, control over that movement is not precise. Followers can divide into sects or even form heresies that go against the teachings of the Sertori. In my own campaign one of the ongoing issues for the party is managing all these other forces as they try to consolidate a movement that can be turned against the current king of Palus. What is becoming clear is just how much local tribal culture, trade, and religion affect their ability to exert their will on events. With every alliance they make, it seems a compromise emerges that affects their ability to grow. Still there have been moments when my players directly shaped history. I think a better way to look at things is to acknowledge all the forces that constrain historical actors, but to also acknowledge that people in the right place at the right moment, can make pivotal decisions. As an example the party established a new political organization of Sertori that has become the focus of a resistance against the local ruler. True, they had to tap into existing unrest and dissatisfaction with the king, but this would never had been tapped into had they not formed the Ser-Vel. And they wouldn't have formed the Ser-Vel if they hadn't chosen to go into Goff-Tan tower, then chosen to free its Sertori prisoners, and finally decided to kill Goff-Tan himself. So their choices mattered. They had an effect on the game world. But they were limited by the political situation they found themselves in and by other neighboring concerns. I know I said I wasn't going to get into the philosophy of history, and I promise I'll keep this brief. But I think one of the issues I have with the article, or at least with some of the reactions I've seen to it, is the false choice between Great Man Theory and a deterministic model of history. We can reject Great Man Theory but still believe that individuals and their choices can matter. I don't want to sound like I am attacking the writer here, because I think it is perfectly reasonable to speculate on these sorts of things in a blog entry. I just found myself in disagreement with some of its points. SILINAR: MY WORST GMPC. EVER.